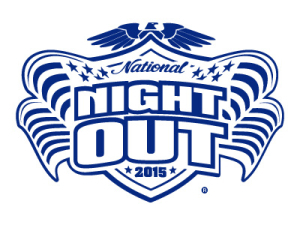 National Night Out is Thursday, August 6th, 2015. National Night Out is an annual event to promote involvement in crime prevention activities, police community partnerships and neighborhood camaraderie. If you have any displays that you would like to set up, please let us know. The Rahway Police Department has used this event in the past as a platform for recruitment for our volunteer groups. Please contact Detective William Eicholz at the Community Relations Office at 732.827.2079 to R.S.V.P. In the past, the event has included a barbeque and entertainment providing a relaxed atmosphere for community interaction. It’s a great opportunity to meet members of the Police Department, Fire Department, and other city service organizations to discuss issues and concerns. Police equipment and vehicles are on display and information packs concerning a variety of subjects are made available to the community. It’s an event enjoyed by all attendees and a good opportunity for neighbors to meet and discuss the issues affecting their community.